Following flooding in December 2015, Story designed and installed flood alleviation measures at the McVities factory in Carlisle. In July 2016 Pladis Global (McVities’ parent company) approached Story with an opportunity to work with them in a collaborative manner to install flood alleviation measures to their Carlisle factory which had been forced to close for a three-month period as a result of the flooding from Storm Desmond in December 2015. 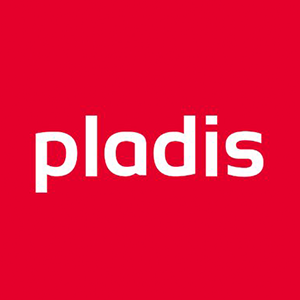 The investment from Pladis was to safeguard the premises for the long-term protected hundreds of locals of jobs and manufacturing capability. The Story proactive and open book approach gave the customer the confidence that the scheme was affordable and as a consequence the works were instructed and progressed in advance of a full and complete design. This meant that works could commence on critical activities in advance of cost certainty and allowed the consulting engineers to concentrate on getting construction status information split into the individual packages and not on getting tender status information prepared for the whole. Story then constructed the works in a packaged and logical sequence and started works on site significantly sooner than would have been possible under a traditional procurement strategy. To allow the Design consultants to concentrate and focus on releasing construction status information we divided the scheme into wall types and requested a release of information aligned to the construction critical path. By allowing the designer to concentrate on producing packaged construction status information in a practical and methodical manner, commercial teams could confirm budgets against a master cost plan and the project progressed in a controlled manner. Stage one defences were completed within the timescales and insurance for the premises was secured. I’m delighted to report the site was secured before our very challenging target (that a lot of people thought was impossible), thus ensuring the future protection of the site. This could not have been achieved without the close working relationship we formed with Story Contracting. A great example of collaborative team working. To find out more about how we can help you deliver your project contact Gareth Jones on 01228 590444.